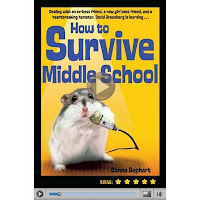 About the Book: "How To Survive Middle School" is Donna Gephart's second book. 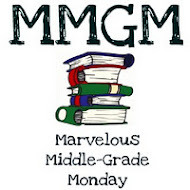 It is David's first year in middle school and he is faced with lunch room drama, loss of his best friend and the powerful need to blend in, which he fails miserably. His passion is to create a television talk show patterned after John Stewart's, The Daily Show. After his YouTube video becomes popular with hundreds of hits he starts getting lots of attention. Check out his video of Hammy the Hamster here. Logline: Eleven-year-old David Greenberg dreams of becoming a TV superstar like his idol, Jon Stewart. But in real life, David is just another kid terrified of starting his first year at Harman Middle School. First Five Pages: We easily meet all the important players in these first few pages as well as what David wants, inside and out. The voice of the eleven year old is quirky and clear. The conflicts and possible blocks to his dream of becoming a talk show host present themselves with tension that easily beckons us to enter into David's world. Other Observations: Gephart is very adept at tapping into the mind of a 11 year old boy. There is a delicate balance between rolling-on-the floor-humor and sadness at the losses David experiences. Chapters are short and the pacing is quick. Who: Donna Gephart loved the library and found books to be great friends. She currently lives in Florida with her husband and two sons. 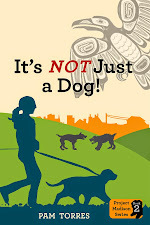 Gephart now has three novels, articles for several magazines and greeting cards. 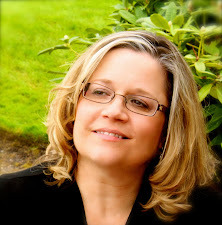 Active member of SCBWI who she recommends to all writers. "When we write, we hope to make a difference to one reader. Just one." When: Gephart started writing when she was ten years old. She lived with her mother, a very busy single mom and was lonely quite often. Challenges: Gephart finds that it is important for her writing to supplement its solitary nature by going to public places like a cafe or library to write. She also has a very active writing group that have been a great support to her writing. Her most recent novel, Olivia Bean, Trivia Queen was written during Nanowrimo which she believes challenged her but also taught her that she is capable of much more than she thought. How: "On a good day, I’ll write for hours and get lost in the story. On a not-so-good day, the words don’t flow. I trick myself to stay in the chair with time limits or word limits or bribes of Ben & Jerry’s Chunky Monkey ice-cream. " Tip: "My main philosophy in writing and in life is: Whatever works." First Book: As if being 12 3/4 isn't bad enough, my mother is running for president! This won the Sid Fleischman Award for Humor. Newest Book: Olivia Bean, Trivia Queen due out spring 2012. Marketing: She has a blog and website and does school, conferences and library visits. She also conducts visits on Skype. She said, "When we write, we hope to make a difference to one reader. Just one." She is also very involved with literacy projects. Advice to Writers: On writing for middle school readers: She says that she doesn't necessarily use her own memories, although many of her characters are based on real people, but she remembers how things felt. Have you read any of her books? I would love to meet her, have you? Which was your favorite? 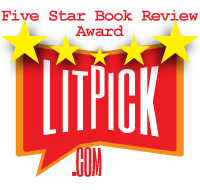 Nice review, it's definitely piqued my interest in the book! I love both The Daily Show and MG books, so this sounds right up my street. How am I just finding this now? Thank you for your kind words and thorough analysis. I'm very impressed and I'd love to meet you, too. Perhaps we'll connect at a writing conference -- all my upcoming events are listed on my site. Wishing YOU the best of luck and continued success with YOUR writing. My Awesome Readers...Thanks For Coming Along! Yep, you found me. I do lots of things, some might call it ADHD, I call it fascination, enthusiasm and living everyday to the fullest. There is so much in this world to be excited about, why choose just one? I'm like that with potato chips and ice cream, too. Don't tell me it's February -- I only blinked! ©2010-2011 Pam Torres and So I'm Fifty. All rights reserved.. Awesome Inc. theme. Powered by Blogger.